Attorney Itamar Ben-Gvir slams PM for suggesting death penalty law intended for terrorists could be used against Jews. 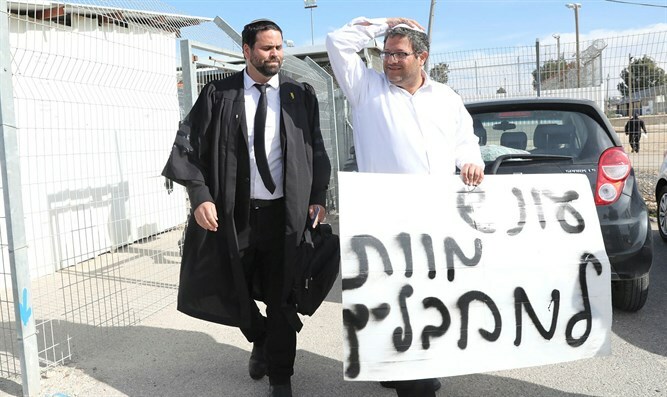 Attorney Itamar Ben-Gvir referred Wednesday afternoon to the passage in preliminary reading of the “Death Penalty for Terrorists” bill in the Knesset, and attacked Prime Minister Netanyahu's statement that the law would also apply to Jews. “The statement of the Prime Minister according to which he would support the death penalty for Jews, as well, is a pathetic statement. The death penalty is intended as a deterrent. In the case of Jews, there is no need for a deterrent because there is no phenomenon like this,” Ben-Gvir said. “The attempt to make a comparison between Jews and Arabs in the name of equality is a populist attempt, and we should be sorry that a man who doesn’t know how to make such a distinction is acting as the prime minister of the State of Israel,” Ben-Gvir concluded. At the end of the hearing, the Knesset approved in preliminary hearing the bill that would make it easier for both civilian and military courts to sentence terrorists found guilty of murder to death. The bill passed by a majority of 52 to 49.